As the year draws to a close, your Riviera Homeowners Association wishes everyone a safe and happy holiday season, and thanks all our paid members for your support this past year. We have much to be thankful for, and much to keep us mindful and busy in 2019. Please consider working with the RHA Board as one of your New Years resolutions, to ensure and expand our efforts to support and preserve our wonderful community. 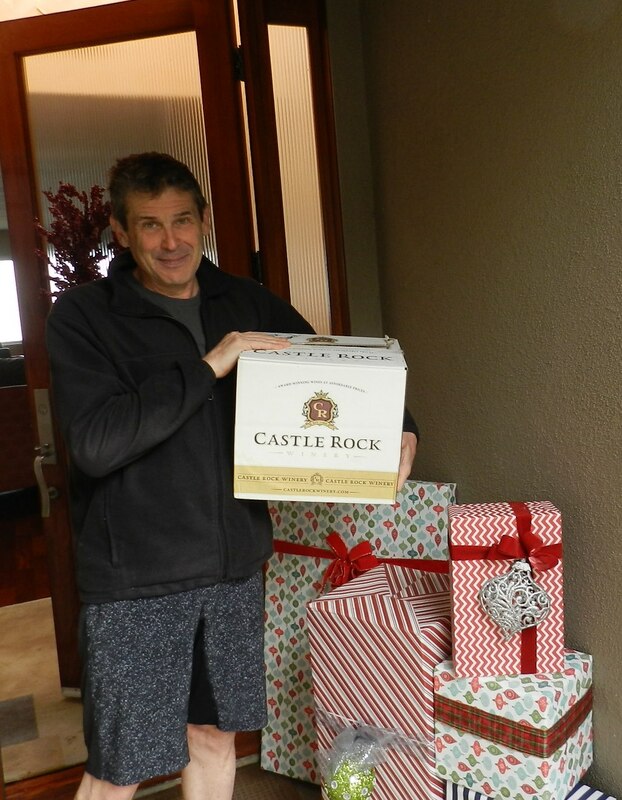 Congratulations to our winners, and our thanks To Castle Rock Winery for providing the libation. RHA members and area residents were presented with a wealth of information on two different topics at our last meeting. The first topic was “Granny Units” aka ADUs or Additional Dwelling Units. The other topic featured two views of the Butcher-Solana project: the bad news about ambient contamination, and the good news about what the future could bring to this site. Granny Units were explained by Linda Cessna, Deputy Director of the Community Development Department, and by Leo Oorts, City Planner. ADUs are part of a new state law which is designed to ease the problem of insufficient housing. The gist of the law is that homeowners may remodel a previously existing space, say an office room, to be a separate dwelling within their home. This space may be rented out or offered to another resident. If someone wants to build a room addition onto their home, and they are in the Hillside Overlay, will they have to abide by the Hillside Overlay Ordinance (HOO)? A phone call to Planning Department on 10/22 got the answer from a planner “Yes, they will have to abide by the Hillside Overlay.” If the building is less than 14 feet tall? The planner we spoke with was not sure. We will have to see how this is enforced. It is likely that it will put pressure on the HOO and will require our vigilance and interaction with the City. In case you missed it: click here for the complete ADU Presentation shown at the meeting. The second topic was the Butcher-Solana development. PV Estates resident and activist Joan Davidson (whose husband is on the PVE city council) presented an impressive amount of research and visuals which showed that the site is even more contaminated than we had thought. Butcher Hill itself has been an unregulated dump site for decades, so it is not known exactly what is in the ground there, but methane, benzene and toluene, all dangerous contaminants, have been found there, along with silica and crystalline silica, a known carcinogen when stirred up by vehicles and construction. The good news? Jacob Varvarigos, the president of a very active land conservancy, the South Bay Parkland Conservancy, shared his views of what this land could be. RHA board members Amy Josefek and Judy Brunetti, along with other members of the community, met with Assemblyman Al Muratsuchi on Wed. Oct. 17 to discuss the project. We hope to bring you more good news before long. Membership dues are what allow the RHA to continue, and fall is our prime time to accept your voluntary dues. Our costs are going up, but so far not our low membership fee. Help yourself by maintaining a vibrant Hollywood Riviera community. Join or renew today ! New members joining between now and October 31 1918 are eligible for a drawing to win a case of Castle Rock wine — Pinot Noir or Chardonnay. Winner will be announced on this website by November 15. Only a few days left! Don’t wait for the next meeting – contribute your voluntary dues here. A heartful thanks to the many who offered their dues at our first meeting, and those who sent them in by mail or Paypal! Announcing A Ribbon Cutting Event! Dedication of the new Hollywood Riviera Historical Marker at the corner of Via Monte d’Oro and Palos Verdes Blvd. Please join us and the Friends of the Hollywood Riviera to celebrate our two new markers AND the 90th Birthday of the Hollywood Riviera! All residents in the Riviera are invited to our general meeting at Richardson Middle School Cafeteria, at 23751 Nancy Lee Lane. The huge proposed Butcher Hill-Solana residential project at Hawthorne and Via Valmonte – get the latest information on where the project stands and what actions residents are taking out of concern for the Hollywood Riviera and surrounding neighborhoods. “Granny Flats” – A staff member from the Torrance Planning Department will provide clarification of the new Additional Dwelling Unit (ADU) State law and why it’s considered necessary……and other general announcements. This is our first meeting of the year…..So come prepared to renew your membership or join us for the first time. 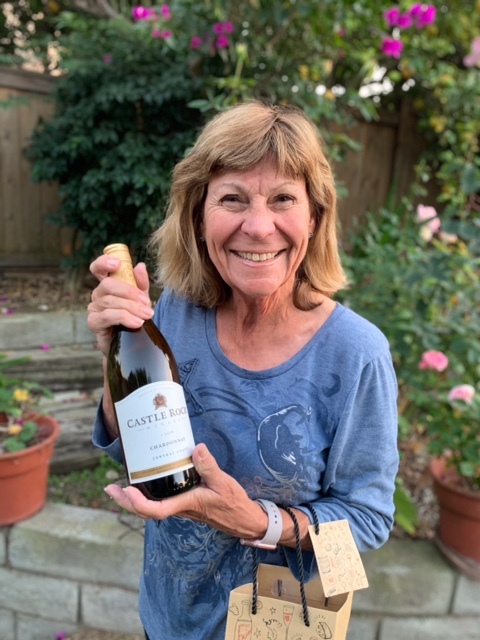 Join the RHA through the month of October and your membership application will be entered in a drawing for the chance to win a case of CASTLE ROCK’S POPULAR WINES of your choice…Pinot Noir or Chardonnay. The Winner will be notified during the second week of November and also will be posted on the RHA website! Annual Memberships paid at the door, sent via mail, or using our online membership page are all eligible to win. Find out what volunteer opportunities are available, to make your voice heard, or work behind the scenes. No experience necessary. Doors open at 6:30. Public is welcome. Light refreshments served. Fall 2018 Riviera Reporter is in the mail – did you get yours? Our printed Riviera Reporter should have arrived in your mailbox if you live within the Hollywood Riviera. You can also click here to see the October 2018 issue. Design a monster using play dough, googly eyes, and your imagination! You’re invited to be creative at this story and craft event. Ages 5 and up. This program is free, sponsored by the Friends of the Torrance Library, and no registration is required. For more information, please call the El Retiro Library at 310-375-0922. Filed under: Uncategorized |	Comments Off on “Community Update!